In fact, workers’ comp is full of one size fits all bill review programs. Typically, these services tout their technology and low-cost start-up costs, but often only offer bill management basics, resulting in a lower price tag at start-up. What these programs lack is the sophisticated billing details that companies need to get a true picture of their complete bill history. Conversely, specialized billing programs integrated with a strong medical managed care program are designed to analyze and address areas of importance for each individual customer. At the heart of these programs are bill review management employees who are highly trained in specialty areas to provide high-level examination. These specialists behind the technology can drive as much as five percent of additional medical spend reduction. There are several reasons why employers can benefit from a customized bill review system, especially in workers’ comp where unique services are often required. Some might be looking for a more aggressive approach in the marketplace or trying to get a better understanding of how certain billing regulations in various jurisdictions are affecting their bottom line. Perhaps it’s an employer who has experienced high-cost billing from hospitals and surgical centers and needs experienced personnel who can breakdown flagged bills and determine where the money is being and should be spent. A pharmacy program, for instance, requires a stronger focus on billing that incorporates physician dispensed medication information. It necessitates not only an automated system that flags inappropriate use, but alerts a billing team specialized in this area to investigate and identify areas of concern, whether provider education is needed, and even potentially fraudulent billing issues. This extra detail to provide line-item information in an effort to reduce overall medical spend that makes specialization so important for successful workers’ comp programs. This is what separates an integrated, specialized platform from those in managed care programs where bill review is a secondary service or a program that works separately from the rest of the workers’ comp program services. Employers certainly have several options available if their goal is to hire a low cost provider in the medical bill review area. I caution, though, to look at what the service provides with those costs. You have to be aware of what you’re ultimately paying for. You can drive some of that with technology, but in the end, the substandard results often negate the lower initial costs, with companies paying more in the back end. 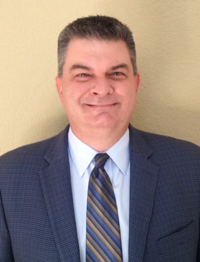 Tom Sebold is vice president of Medical Review Services for Genex Services. Sebold has been with Genex for more than 17 years in a variety of positions including Midwest regional sales manager and West region vice president. In addition, Sebold has more than 25 years in the managed care and workers’ compensation industry. He holds degrees in business management and marketing from Augustana University, Sioux Falls, SD. Genex Services is the trusted provider of managed care services enabling workers’ compensation payers and risk managers to transform their bottom lines. Genex is a managed care leader with more than 2,900 employees and 47 service locations throughout North America. The company serves 381 of the Fortune 500 companies as well as the top workers’ compensation and disability carriers and third-party administrators in the U.S. In addition, Genex is the only company that delivers high-quality clinical services enhanced by intelligent systems and 360-degree data analysis. The company consistently drives superior results related to medical, wage loss, and productivity costs associated with claims in the workers’ compensation, disability, automobile, and health care systems.